Discussion in 'Theorycrafting and Statistics' started by Millipede, Jul 10, 2010. Save that charm for p gems! 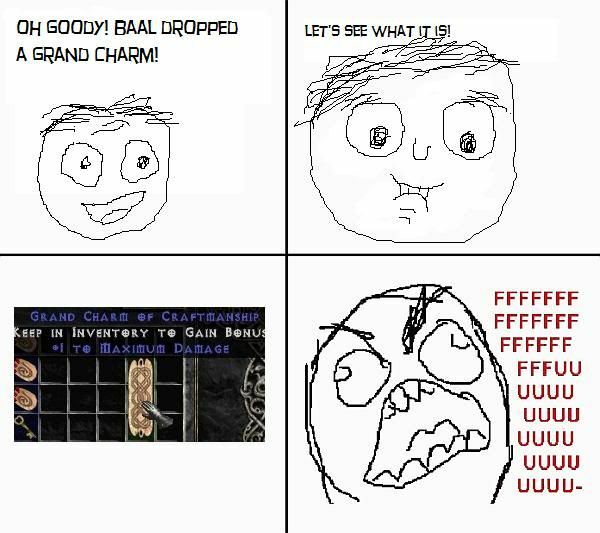 If that's what happens everytime you roll a baal charm you must have a quiet exciting life, or a severe...... something something. /edit oh s**t 4999 posts, gonna do something memorable now! And then roll 1-2 fire dmg three times in a row..